Can your business benefit from small business IT consulting in Mahwah, NJ, Paramus, NJ, Scranton, PA, Middletown, NY or other locations in and around the Tri-State area? 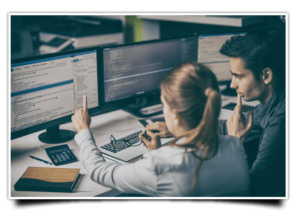 Technology consulting for smaller businesses may seem like a luxury for some, but it’s a great way to keep your small business competitive, especially if you’re not big enough yet to be able to afford a Chief Technical Officer. What Do IT Consulting Services for Small Business Do? What your company’s specific needs are when it comes to IT consulting services will depend on the type of business you do and the way you run your organization. For example, are you looking for a new project management direction for your business? Today’s effective project management is massively reliant on good IT systems for success. If you’re struggling to get projects done or you’re losing productivity somewhere along the line, it could be the efficiency of your IT systems that are the culprit. And what if you have an IT-based project? If you’re a technology-focused company, that’s not a problem, of course, but you just may find yourself in a situation where your knowledge of IT is critical to the success of a project. Again, it may not be cost-effective or feasible to hire someone just to handle this IT challenge, and you don’t have to. How Can Coachfirm IT Consulting Services for Small Business Help? Coachfirm is the perfect solution to all of your IT assistance needs. Our Project Management Coaching team is led by Lance Salisbury. Lance has over three decades of professional business experience as well as a rock-solid understanding of what is required to own and manage small businesses. He is also an IT expert. Lance specialized in IT for over 20 years, which means he has followed the evolution of information technology as it has become more and more important for business. He knows where IT has been and where it is going. Lance and our team of business consulting experts can help you wrestle with issues like software development life cycle, process improvement and business analysis. IT problems can be some of the most frustrating challenges in business, and Coachfirm can help remove those frustrations and get your systems humming. Then, you can focus on making a great product for your customers. Coachfirm is ready to help you get control of your information technology systems right now, and it doesn’t cost you a thing to get started. All you have to do is contact us today, and we’ll set you up with a completely free consultation call. We can talk about your IT concerns and challenges and start to make a plan for the best way we can help. We’re ready to put our consulting expertise to work for you, so contact us to schedule your free call now.